Converter Pro allow you to incrust SRT subtitle in a MP4 video. There is a preset for that ! Requirements : The input file and the srt file must have the exactly same name (except extension) and must be in the same folder as above. Rename your srt file like above if needed. 4. Go, click convert ! 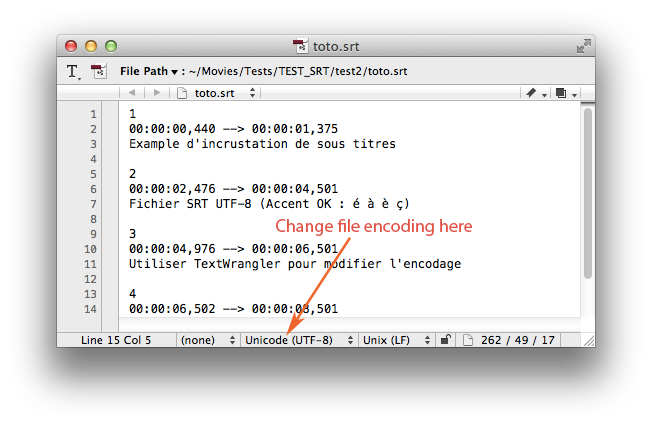 IMPORTANT : When you play the new file with VLC or Quick Time, the subtitle are not displayed by default. You must go to the video menu and select the subtitle.